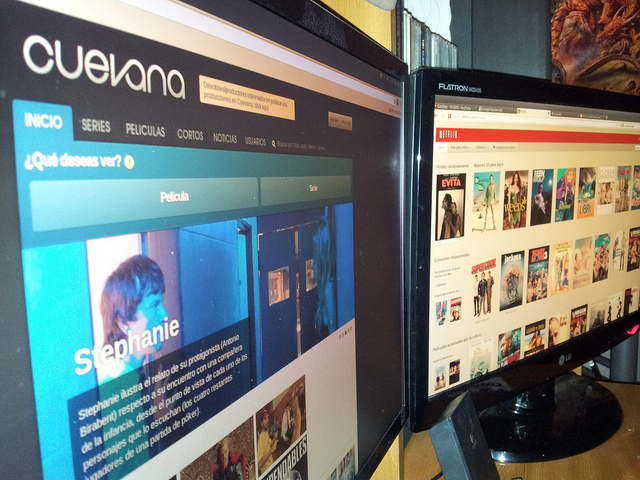 The controversial film & TV streaming portal Cuevana suffered another setback today as one of its administrators got detained in Chile. The 26-year-old student Cristián Alvarez Rojas is now free, but remains indicted for infractions to the Intellectual Property Law and cybercrime. The investigators also seized 198 pirated DVDs, a computer and two hard drives, the Chilean newspaper La Tercera reports. As we reported, this Argentine site has gained considerable popularity among Spanish-speaking Internet users across several countries, despite the fact that the overwhelming majority of the content it links to is pirated. Unlike their ‘competitors’, Cuevana’s founders don’t hide their identity. Alvarez Rojas aside, its other 8 administrators reportedly live in Argentina, and its co-founder Tomas Escobar is the venture’s public face on Twitter. When attacked, the site’s line of defense has always been to point out that it doesn’t host the videos on its servers, since it is only providing links to content which is hosted elsewhere. Yet, Megaupload’s case serves as a warning that sites probably have to put an even wider distance between copyright infringers and their own activities if they want to stay out of trouble.